Star Wars: The Last Jedi Review #2: Is It Really That Good? Star Wars: The Force Awakens came out two years ago and successfully brought the franchise back to life. Though not a bad movie, it has been criticized for its lack of originality by many, but it also left a great many lingering questions. Now, after a lot of waiting, speculation and mostly pointless theorizing about said lingering questions, Star Wars: The Last Jedi is here. People are very hyped about the movie and early buzz states that the Force is incredibly strong with this entry in the Skywalker saga. But I pose the question to those who have seen it: is Star Wars: The Last Jedi really that good? Warning: this review will contain spoilers for Star Wars: The Last Jedi. Seriously, this is your last chance to turn back. You've been warned. Let's start out by going at this in an easy way. Is this movie bad? Absolutely not. However, given all of the hype and the impossible burden of expectations placed upon this movie, it's hard to say that it totally lived up to those expectations. 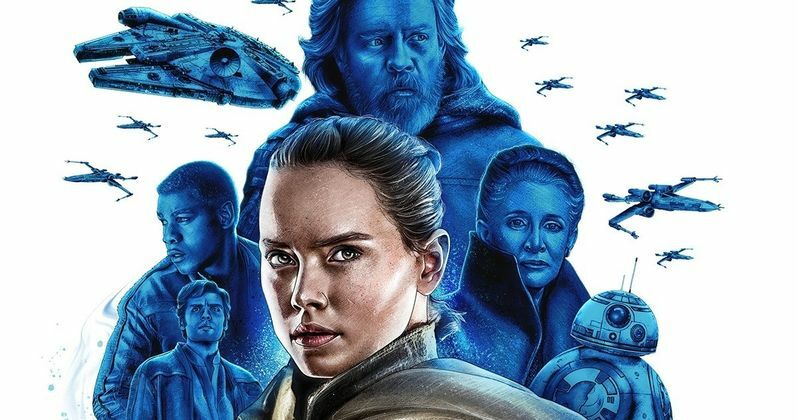 Director Rian Johnson certainly didn't toe some company line and a make by-the-numbers Star Wars movie. Not by a long shot. He keeps you guessing the whole way and should be applauded for that. In addition to making a very visually satisfying and emotional Star Wars movie. Many have praised Star Wars: The Last Jedi as a near-perfect triumph, but I feel as though when you really dig in, this movie is much more of a mixed bag. And let me say right away, I'm the kind of moviegoer that likes to enjoy things. I like a lot of popcorn movies other people don't seem to like. I'm not what you'd call cynical. So I have to imagine I'm not alone in thinking that The Last Jedi just doesn't get there in some (or a lot) of ways. For one, the main plot device in Star Wars: The Last Jedi, and I'm aware this movie is much more about character but a plot is still important, revolves around the last shreds of the Resistance escaping the clutches of the First Order and trying to find a new base. This leads to the most boring high-speed chase in the history of high-speed chases. It sets a ticking clock that all of the subplots in the movie are working against. Rey must convince Luke to stop being grumpy and Finn and Rose must find this mysterious codebreaker before the Resistance runs out of space gas so the First Order's conveniently slower ships don't catch up and blow them up. One of the great things about this movie is that it does an awful lot to distract us from thinking too much about stuff like this. It's loaded with great moments that fans have been waiting a long time to see. We get to see Leia use the Force! Luke talks for the first time in three decades and, not only that, but he uses both of his lightsabers! Granted, one was kind of because he wanted to kill his nephew, Ben Solo, for a brief moment, essentially turning him into Kylo Ren but he used the green one from Return of the Jedi! And that Yoda stuff was absolutely on point. Plus, that moment with R2-D2 and Luke on the Falcon is enough to pull at any fan's heartstrings. Also, this is Carrie Fisher's last performance as Princess Leia. She absolutely nails it, as she always has. She is not part of the problem. She has never been part of the problem. She is and always has been fantastic and this movie will make you miss her desperately. She is and forever will be our beloved Princess. However, I feel these great moments were enough to make many fans, and I am a massive Star Wars fan and literally don't have memories that go back further than my love of the franchise, overlook the mixed bag this movie is. For all of those great moments, there's a lot of disappointment. All of that hullabaloo over Snoke and for what? Just to have him slaughtered without knowing really anything about him. Granted, the narrative reason for his death, the very dark turn for Kylo Ren, was awesome, but Snoke overall winds up being a massive disappointment as a result. Captain Phasma, another villain who was underused in The Force Awakens and was supposed to get her due in this movie, also has a bit of a not-so-awesome end. There are little things like that, at least for me and, I imagine, others, all over this movie. It really is mixing the great with the not-so-great. Average that out and what do you get? Good. Not great. We'd be remiss if we didn't address one of the biggest elephants in the room. Yes, Star Wars: The Last Jedi does finally answer the question of Rey's parentage. And, to side-step for a brief moment, Daisy Ridley as Rey is one of the best things in this entire movie, as she was in The Force Awakens. Though, all of the praise for Mark Hamill's performance is very warranted. He's excellent in the movie. Back to the point at hand. After all of the theorizing, it turns out Rey's parents were just nobody junkies from Jakku who sold her for drinking money. It was glossed over so quickly that it was a little jarring. I imagine Star Wars fans are of two minds about this. Love or hate. Personally, I find it to be one of the best bits in the movie. This random, nobody junker is now intertwined in one of the biggest stories the galaxy has ever seen. She's not some chosen one. She's just a girl with the Force who found herself a part of something bigger. Speaking of the Force, if there's one thing Rian Johnson does in this movie, it's really expands upon what that Force can do and what it is. There are so many Force abilities we see in Last Jedi that we had no idea were possible. People can be linked and communicate to one another as if they're in the same room, but in actuality, be at opposite ends of the galaxy. Jedi, or at least Luke, can project himself convincingly across the galaxy and do battle as that projection. Snoke shows that the degree to which the Dark Side of the Force can manipulate goes far beyond what we've seen previously. This expanding of the mythology is a lot of what the movie is about. Really, the latest Star Wars movie does live up to its name. As Yoda and Luke make clear as they watch that old Force tree burn down, the Jedi, at least as we've known them for generations, truly must end. Rey, however, will continue the Jedi order, but in a new way. Not with those old, dusty books. It's a brave new world for the Jedi and the splintered remains of the Resistance must now find a way to spark a new rebellion. J.J. Abrams has his work cut out for him on Star Wars: Episode IX. That's for sure. Oh and somehow, Porgs didn't ruin the movie.